You know it’s almost time for wedding season when the first invitation appears in your mailbox. And while you might be excited to celebrate your friends’ or family members’ special day, you also might be worried about the impact on your wallet. We all know weddings aren’t the most budget-friendly affair – according to The Knot’s Real Weddings Survey, the average wedding in 2014 cost more than $31,000. And as it turns out, weddings can be pricey for guests too, even those who aren’t in the wedding party. In 2014, the American Express Spending & Saving Tracker Survey found that the average guest spent approximately $592 per wedding. Bridesmaids and groomsmen typically shelled out a bit more, with an average of $618 spent per wedding. Averages don’t always give the full picture though. Just because many people spend nearly $600, it doesn’t mean you need to do the same. Start planning now and you can avoid busting your budget or going broke this wedding season. Before you start planning how to save money on the weddings you’ll attend, you need to get a good idea of how much you have to work with. Take a look at your personal budget – is there some wiggle room or extra cash that you can put toward wedding expenses? If not, you might have to make adjustments to your spending habits to afford attending those weddings. If you aren’t already following a budget, now is a great time to make one. Start tracking your expenses and your income, and see how the two compare – do you have funds to set aside? How much? Let your finances be your guide here – pick an amount you can work with, and stick to it. Set your savings aside in a separate account or in your general savings account, but keep track of how much you accumulate to spend. Do not allow yourself to exceed this upper limit; otherwise, you may encounter bigger financial troubles in the future, such as high-interest credit card debt. If you’re a guy, you might have to worry a bit less about what you wear and how much it will cost you. You can wear the same suit or tuxedo (maybe even one you already have in your closet) to wedding after wedding, and no one will bat an eye. It can be a bit different for women, but it really doesn’t have to be. If you’re a lady with more than one wedding to attend this summer, make this your mantra: “Go simple with the dress, and splash out with the rest.” In other words, pick a stylish but basic dress in a neutral hue (such as black or navy) and go all out with your accessories. If you wear a large statement necklace and a black cocktail sheath to one wedding, you can wear the same dress with a sash and a pair of sparkling earrings to the next and people will think it’s a different outfit. Instead of buying multiple dresses you’ll wear just once, you can buy one and wear it repeatedly – without anyone knowing the difference. The same is true for your shoes. Pick a trusty pair of pumps or strappy sandals and have them carry you through wedding season. If you’ve only got a single wedding on the calendar this season, renting a dress might be the most economical option. Rentals can be as cheap as $35 to $50, as opposed to several hundred dollars to own the same dress. Rent the Runway is one of the more well-known options, but there are others, such as The Frock Shop. If you happen to live near a dress rental service, you can try on items before you rent, which reduces the risk of having the dress you fell in love with not fit. Rental services don’t restrict you to dresses either. If you plan to change out your accessories from wedding to wedding and don’t want a closet full of purses and necklaces, you can rent those for a reduced rate. Depending on the style, designer, and materials used, necklace rentals start around $10, and handbag rentals start around $30 at Rent the Runway. Buying a gift is part of going to a wedding. In 2014, the average guest spent between $74 (on a gift for an office mate) and $200 (on a gift for a family member), according to American Express. There’s no hard and fast rule about how much you should spend on the gift, aside from what you can afford. Your cousin won’t think you love her any less because you spent $50 on her gift, rather than $200. Of course, there are ways to protect your budget and make it look as though you broke the bank on a gift. 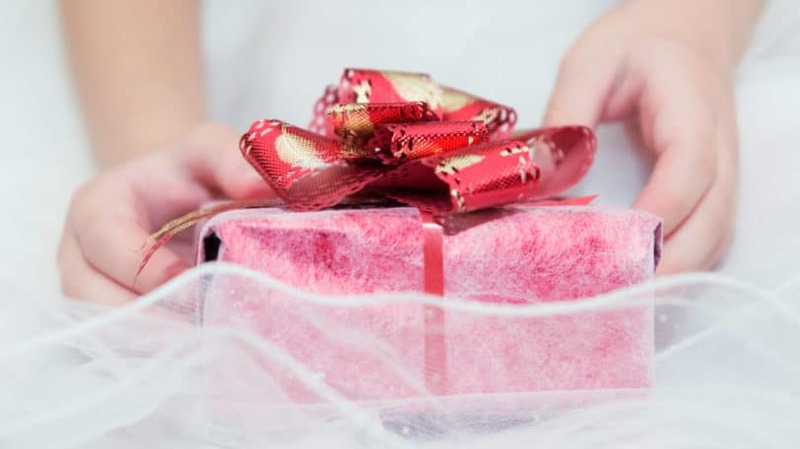 The online promo code can be your best friend when buying wedding gifts, especially if your friends registered at places that make frequent use of them. Sign up for email newsletters from those stores, or check out websites like RetailMeNot, which list coupon codes. Cut your costs even more by sticking with retailers that offer free shipping. Also, keep in mind that you don’t have to buy the gift from the retailer the couple are registered with. Some websites that offer registries, such as Amazon.com, give you the option to buy the gift elsewhere and check it off the registry, to avoid duplicates. If you see the same set of silverware the couple asked for at a different retailer for a better price, by all means, purchase it from the cheaper store. If you’re sticking with the registry, try to buy your gift sooner rather than later. Many couples register for a range of items, from inexpensive to pricey. If you wait to get the gift until the month before the wedding, you might find yourself facing a barren registry, with just a few cheap towels and the priciest gifts remaining. Share the Expense. A $100 gift becomes a $50 gift if you split the cost with a friend. Donate Time or Talent. Are you an amazing floral designer? Did you go to school for cake decorating? Offer your services to the bride and groom, in lieu of the traditional wedding gift. You’ll save money, and so will they. Of course, this idea only works if you actually excel at the service you offer. Be Creative. A special, heartfelt gift can be worth more to the couple than anything on the registry. For example, you might give the couple a photo book full of pictures of the two of them together. Depending on how far the wedding is from your home, travel may actually be your biggest expense. How much you spend depends in part on how you get there. A site such as Rome2rio shows you all the options for getting from point A to point B, how long each trip takes, and the cost. For example, it costs around $150 to fly from Philadelphia to New York, while it can cost as little as $5 to take the bus. It you factor in getting to and from the airport in each city, travel time is about the same. You may have to make some sacrifices, in terms of comfort, to make travel arrangements that fit your budget. That means the early morning bus route or the red-eye flight might be the most wallet-friendly pick, although you’ll miss out on some quality sleeping time. 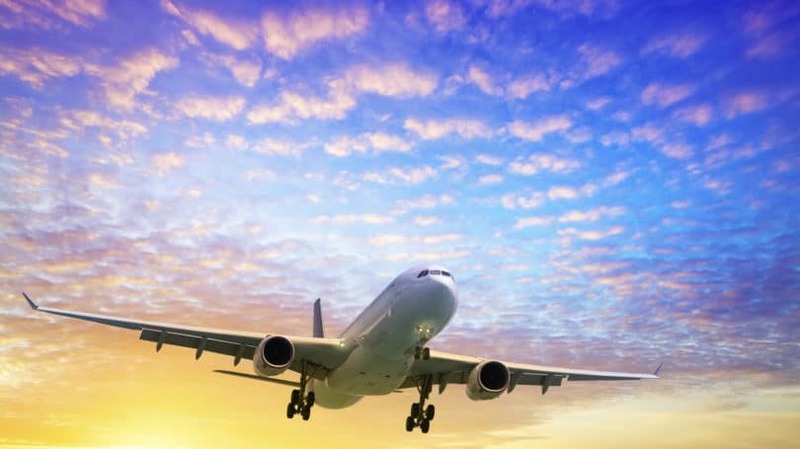 Knowing the best days to travel can help cut your costs too. If you’re renting a car, it tends to be cheaper to do it on the weekend, rather than during the week. This is because many car rental companies target business customers, not leisure travelers, and have more cars to rent on the weekends. Taking a plane? Try to avoid flying on Fridays or Sundays as, according to Hopper, those tend to be the priciest days of the week. There’s an added benefit to flying during an off-peak time, aside from the price: Fewer people on the plane means more room for you to spread out. Every time I’ve flown to London, it’s been a Tuesday overnight flight, and I’ve never had a person sit next to me, which has made an eight-hour red-eye much more enjoyable. Unless you have close friends or family nearby, you might have to stay in a hotel. Couples often reserve blocks of rooms at a discounted rate at certain hotels, so if being close to the action matters to you, go ahead with that option. But keep in mind that you can save a bit more if you expand your search. A slightly less upscale hotel might give you a rate that’s even lower than the discounted one. 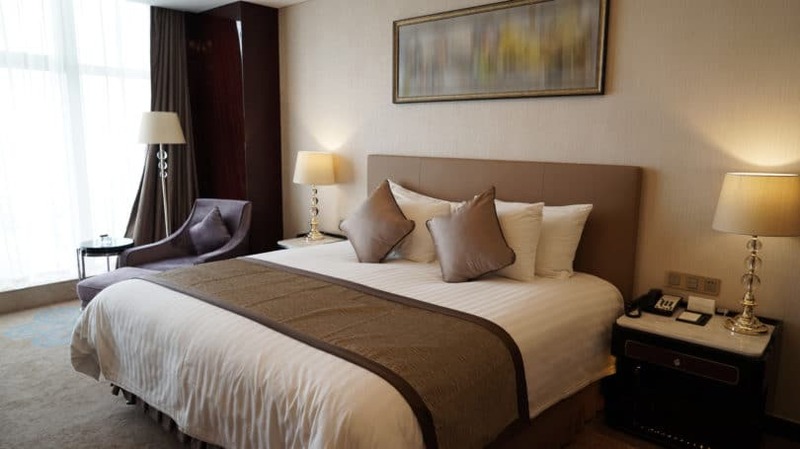 A hotel is just one option when you need a place to stay overnight. Take a look at Airbnb listings for the area – you might find a private room for a great price. Or, if you have a big family or big group of people you’re traveling with, look for an entire house to rent for a night or two. Search Airbnb or another vacation home rental site, such as HomeAway or VRBO. You can also trim your lodging expenses by not staying as long as everyone else. While some weddings are weekend-long events, you don’t need to feel obligated to stay if you’re not that close to the couple, or if it’s out of your budget. Things are a bit different when you’re in the wedding. You have more responsibilities and more financial obligations, which can make budgeting even tougher. Try to get a sense of your obligations as a bridesmaid or maid of honor before you commit – it’s a lot easier to say no upfront than to try to back out when you realize the wedding is more than you can afford. 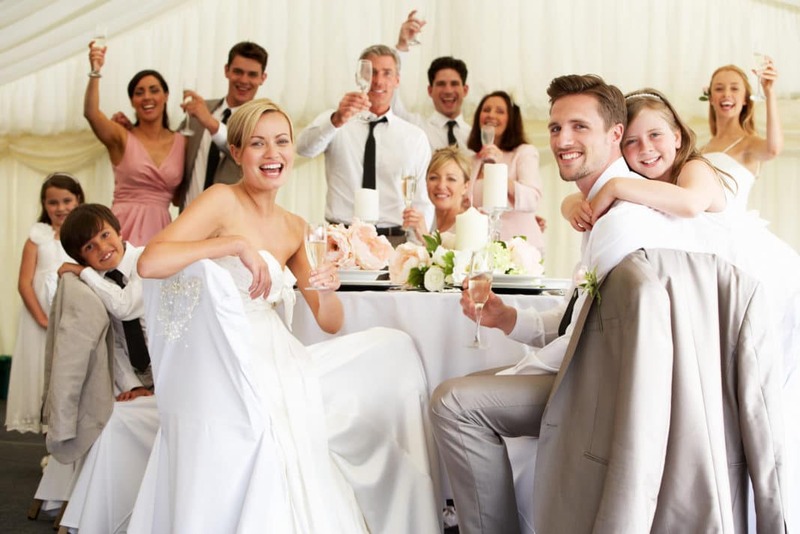 Communicating with the other members of the wedding party and with the bride is crucial throughout the entire process, and being a bridesmaid can give you an opportunity to work on your negotiating skills. If she wants you all in $300 dresses and you’ve only got $200 in your budget, find a less expensive dress that looks similar to the one the bride likes and gently suggest it. You can also look for that same dress on a rental site, so that you can wear it and return it, saving yourself a bundle. It is also possible to throw an affordable bridal shower and bachelorette party without looking cheap. Have the shower at your home or someone else’s, instead of at a restaurant or other venue – and instead of hiring a caterer, ask guests to bring a dish. Give the bride suggestions for a bachelorette party that fit with most people’s budget, such as going to a few of her favorite clubs in town, touring a brewery or winery, or taking a trip to a nearby city, rather than flying somewhere far away. Sometimes, you just can’t go to all the weddings you are invited to. It might be a matter of logistics and availability, or it might come down to finances – perhaps you can’t afford to fly to Maui and back, even to go to the wedding of a close friend. Remember that it’s okay to decline an invitation if necessary. When going over your wedding season budget, choose to attend either the weddings that mean the most to you or the weddings that work with your budget. If you’re turning down an invitation because you can’t afford it, you’re not alone. A 2014 poll from American Consumer Credit Counseling revealed that 43% of people surveyed declined an invitation because it just didn’t fit in their budgets. You can let the couple know why you’re declining their invitation, if you feel comfortable doing so. Send a nice note with your RSVP card, thanking them for including you and letting them know that you’re traveling that day, going to another wedding, or have any other reason. You don’t have to say you can’t afford to attend, if you aren’t particularly close to the couple. If it works with your budget, you can send a gift, but you aren’t obligated to. 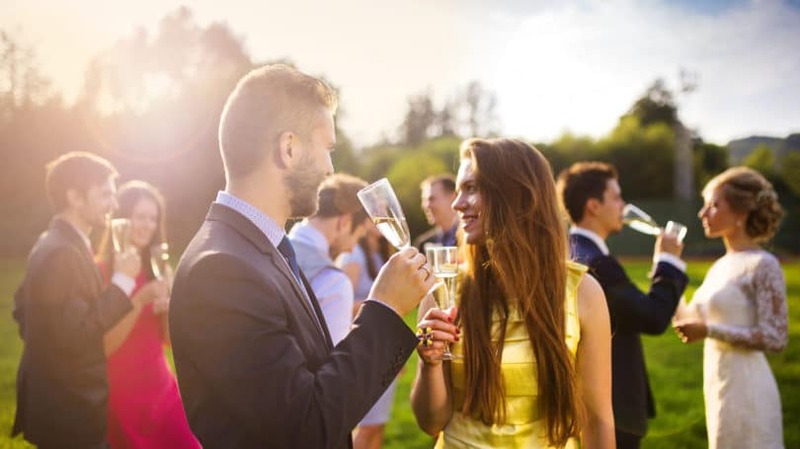 Going to a wedding or two this summer doesn’t have to mean you end up in debt or regretting your financial decisions. Make up a list of firm numbers before you start responding to invitations or making any plans. Knowing in advance what you can afford to spend on your clothes, the gift, travel expenses, and any bridal party costs can help you avoid busting your budget this wedding season. Are you going to any weddings this year? How do you plan to keep your spending in check?